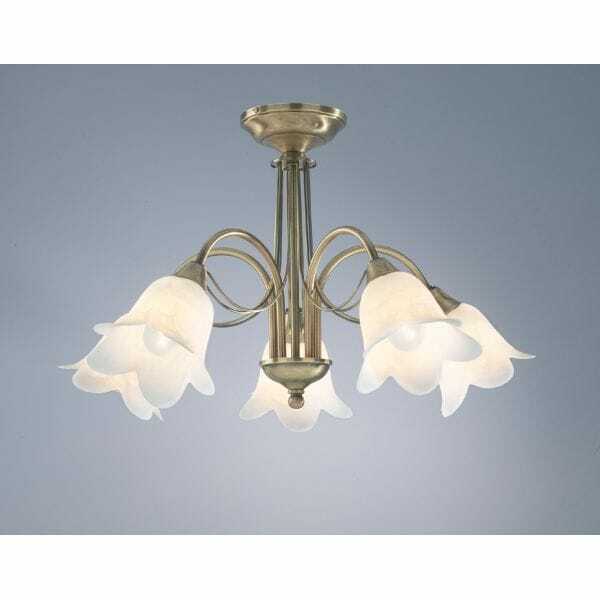 Dar Lighting Doublet 5 light semi-flush fitting features a decorative ceiling plate with central stem and 5 curved arms in either antique brass or polished brass finish with fluted alabaster glass shades. The product code for this fititng is DOU0575, DOU0540. An elegant fitting that would be a sophisticated addition to any suitable room within your home and is especially suitable for rooms with low ceilings. There is a 3 light fitting, single and double switched wall light in this range, which can be viewed on our website.